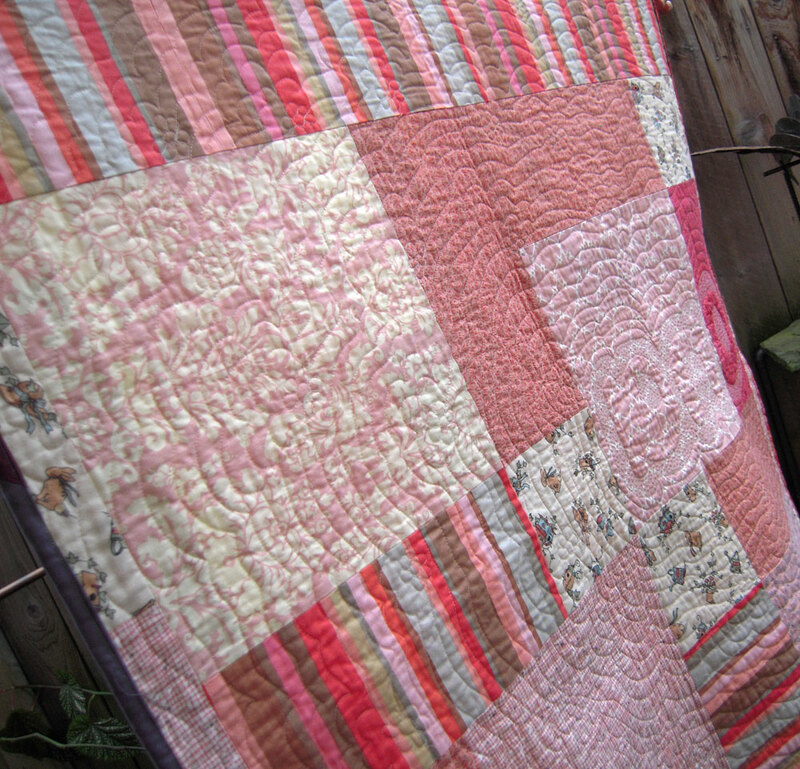 A few weeks ago I finished a baby quilt for a new little girl named Ona, and I thought I’d share some more pics. 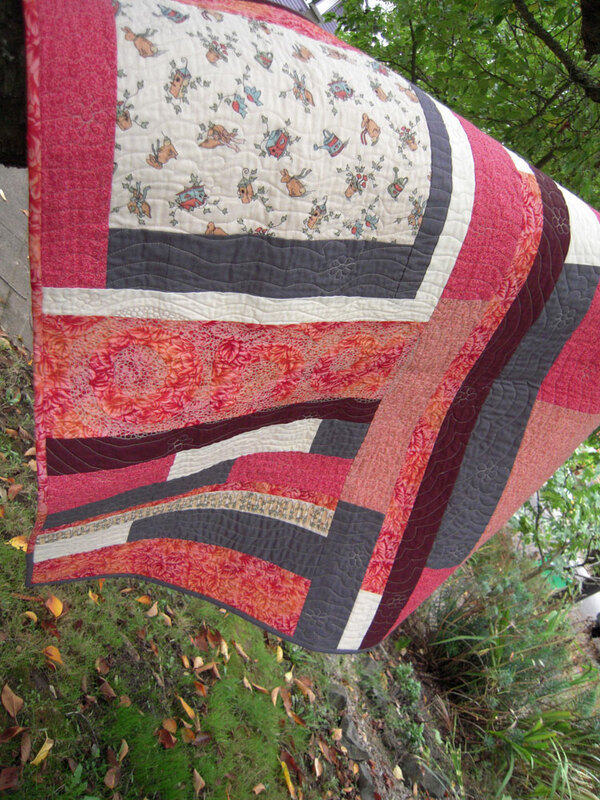 I’m really happy with my free-motion-quilting! 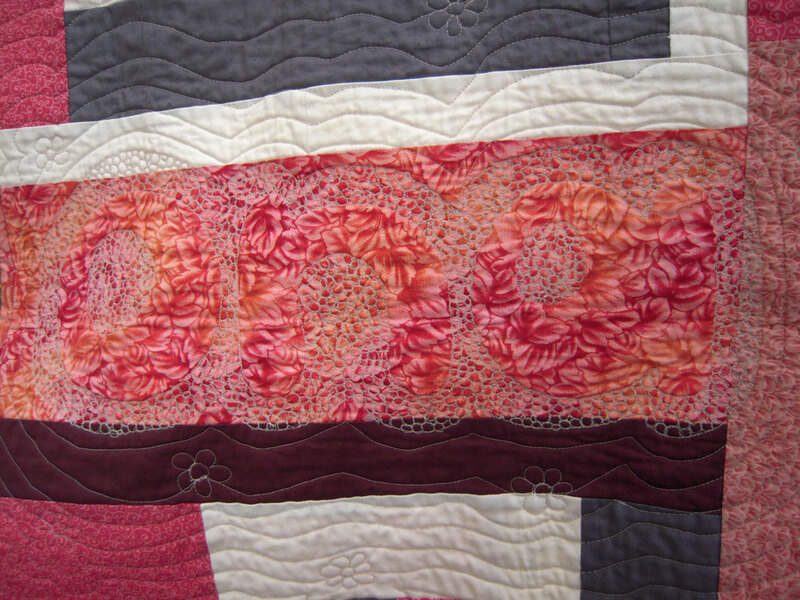 This marks the 4th quilt that I’ve done FMQ and my stitch lengths are becoming a little more even and I’m doing better with keeping stitch lines smoother. 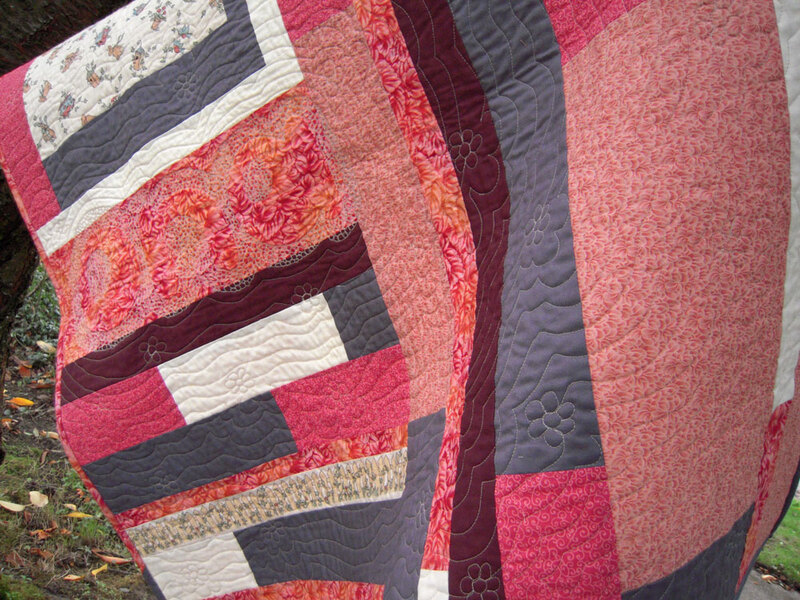 I’m loving the echo effect right now ~ it adds some nice organic movement to the straight lines of the patchwork. I work on a regular singer sewing machine… so the hardest part for me is munching the whole quilt up in the throat while I work. 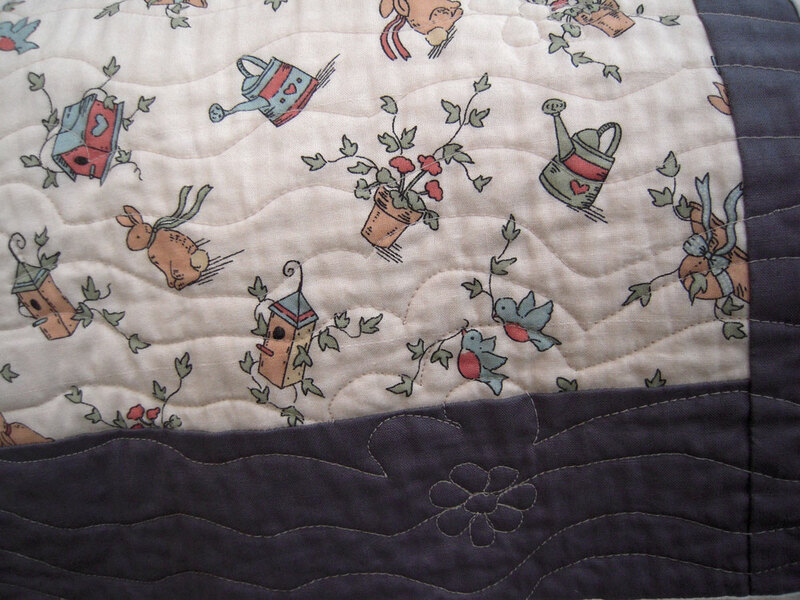 That’s why this little baby quilt was so fun… it was small enough that I could easily maneuver it in the machine. Plus it was for some pretty great friends of ours who had their first baby ~ so it was totally fun to make! Both sides are equally pretty.What a lucky baby girl. 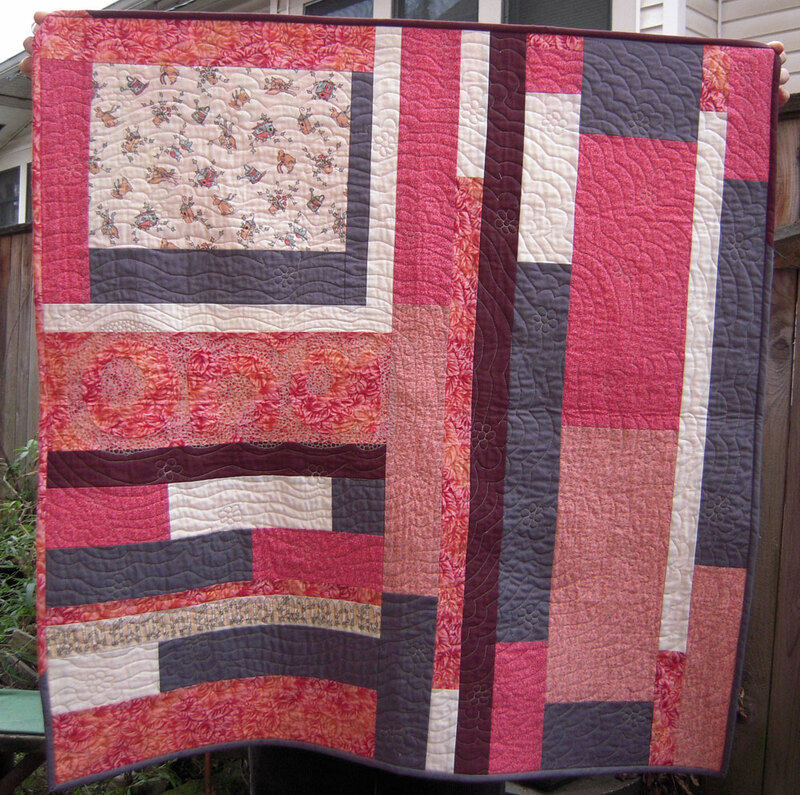 I don't do FMQ yet – still trying to learn how. I should be brave and jump in and just do it. What am I waiting for – perfection? 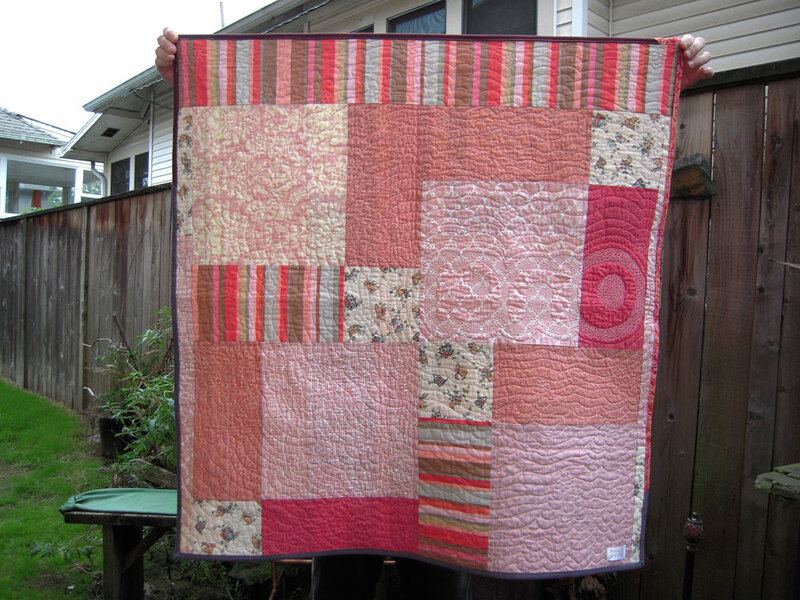 That is lovely, I love making small quilts, I haven't attempted a large one yet but I am working up to it slowly.